Hey, what say we take a break from wondering whether Josh Beckett can find happiness, fulfillment, and six decent innings with budding scapegoat Jarrod Saltalamacchia behind the plate rather than his binky Tek and enjoy a brief football interlude instead? Too bad. I’m doing it anyway. The NFL draft begins Thursday, April 28, a little more than than three weeks away. Over on our Extra Points blog, beat writer Shalise Manza Young is profiling a prospect each weekday who may appeal to the Patriots. The draft is one of my favorite events on the sports calendar, though I’ve finally smartened up and realized that it’s better to keep my post-draft opinion to myself. Turns out calling Bethel Johnson “can’t-miss” will cause one to question his draftnik cred. Back when I worked on the Globe sports desk, we always used one guide to get our information: Joel Buchsbaum’s annual production in cahoots with Pro Football Weekly. It was incredibly detailed, and more important, accurate. Eccentric wouldn’t begin to describe Buchsbaum, as detailed engagingly in this 2003 award-winning feature by Juliet Macur, but his knowledge of draft prospects won over the most accomplished of coaches, personnel experts, and skeptics. When Buchsbaum died in December 2002, Belichick and Scott Pioli drove from Foxborough to New Jersey for the funeral. They had never met the man. Remembering this, I was curious what Buchsbaum had to say about a certain skinny Michigan quarterback back eligible for the 2000 draft. 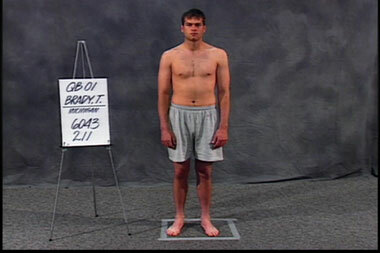 Turns out we still had that year’s edition in our files, and Tom Brady was rated sixth among quarterbacks that year. Chad Pennington was first, followed by Chris Redman, Tee Martin, epic bust Giovanni Carmazzi, and Tim Rattay. Positives: Good height to see the field. Very poised and composed. Smart and alert. Can read coverages. Good accuracy and touch. Produces in big spots and big games. Has some Brian Griese in him and is a gamer. Generally plays within himself. Team leader. Summary: Is not what you’re looking for in terms of physical stature, strength, arm strength, and mobility but he has the intangibles and production and showed great Griese-like improvement as a senior. Could make it in the right system but is not for everyone. Well, the list of strengths certainly sounds like Brady, though I’d be really impressed with Buchsbaum’s breakdown had he written: Has a chance to eventually marry a Victoria’s Secret model. Possibly Gisele, who is also very skinny and narrow. And I think we’re all glad he exorcised those comparisons to Brian Griese (his former Michigan teammate and a decent NFL quarterback for 11 years) a long time ago. Beats being compared to Drew Henson, I suppose. Lacks mobility and ability to avoid the rush. Well, yes, he’s still dirt-train slow, but he has an uncanny knack for feeling the rush (his most recent game excluded, maddeningly) that we’re beginning to wonder if it’s not an instinct but something he was taught — or taught himself — to do. Lacks a really strong arm. Can’t drive the ball down the field and does not throw a really tight spiral. How would it read now? Try the opposite: Has a strong arm. 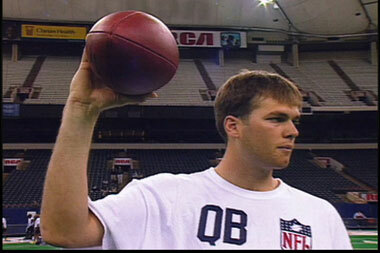 Can drive the ball down field (50 TD passes in 2007, 23 to Randy Moss). Throws a tight spiral. To put it another way: Bet he’s made Tom Martinez, his personal passing guru, one of the highest-paid gurus on the personal guru circuit. One last thought: The draft is a blast, and evaluating how your team did in the immediate aftermath is even more fun. As silly as the business of judging players who haven’t played a down of professional football may be, it’s reassuring when Mayock or Kiper or McShay gives the Patriots an A on that day-after report card. But we also know better around here. We know that Kiper’s bewilderment that Belichick would choose, say, Logan Mankins in the first round when Kiper had a third-round grade on him is not necessarily a bad thing. We know, this year anyway, not to whine and blow up Twitter if the first attribute mentioned about a young cornerback is his special teams proficiency. We know that instant analysis is really just a slightly educated guess, that picking Laurence Maroney, Chad Jackson and David Thomas does not guarantee Brady has all the weapons he needs for the next half-dozen years, and that maybe, just maybe, Bethel Johnson won’t make it. We know we won’t learn anything meaningful about these players about to become Patriots until Belichick confirms that they are doing something right by putting them on the field. With an occasional assist from Mo Lewis.